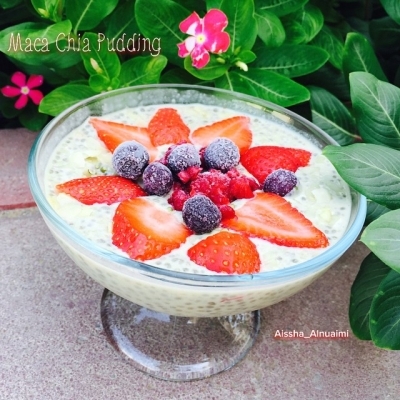 A easy, quick and healthy breakfast made with Chia seeds and maca. Chia is a super food packed with omega 3, antioxidants, protein and may lower the risk of heart problems and type 2 diabetes. Maca is use to increase energy levels, and reduce symptoms of menopause. Maca is rich in vitamin B vitamins, C, and E. It provides plenty of calcium, zinc, iron, magnesium, phosphorous and amino acids. Mix all the ingredients together and keep in a close jar, over night in the fridge. For those who suffer from diabetes will be better to substitute honey for stevia or yacon syrup.